Galway-born brothers, Séumas and Michael O’Kelly, were both editors of the Leinster Leader during Ireland’s revolutionary period. Séumas was editor from 1906-1912, while Michael replaced his brother as editor when Séumas moved to Dublin. Michael was interned, in the aftermath of the 1916 Rising, Séumas briefly replaced him until Michael was released from custody a few weeks later. 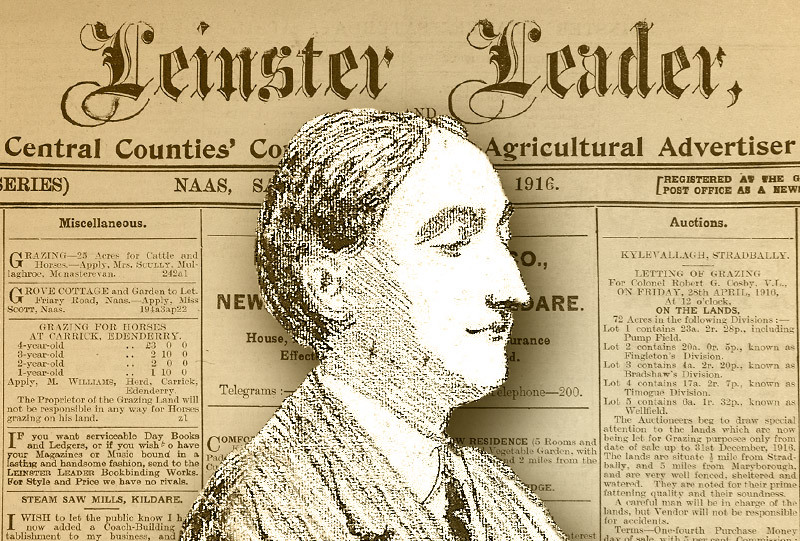 Every week we are republishing the Leinster Leader editorials of the O’Kelly Brotheres for the entire year of 1916.